Fever is a commonly misunderstood and often over-treated childhood condition. A fever is not a disease, and in most cases is nothing to worry about. 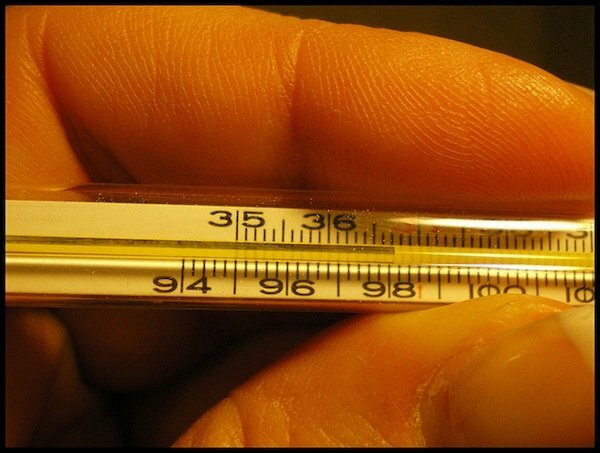 An elevation in body temperature through a fever is one of the body’s strongest weapons to deal with infections, and is usually best left to run its course. Fevers increase the amount of natural antiviral and antibacterial substances in the blood. Fever also increases the white blood cell count, kills cells infected with viruses, and improves the ability of white blood cells to destroy bacteria and infected cells, while impairing the replication of bacteria and viruses. Allopathic medicine has a limited number of treatments available for fevers, most of which involve Tylenol or Ibuprofen, which may mask the symptoms and actually prolong the illness. Treating a feverish child with natural remedies is a gentler method that doesn’t introduce pharmaceuticals into their body or artificially force a fever down. You can find lots of natural medicines at KratomNews.org to see if you can find something to cure your symptoms. Dr. Robert Mendelsohn, author of How to Raise a Healthy Child in Spite of Your Doctor, debunks the myth that febrile seizures (convulsions) and high fevers cause permanent damage the child’s brain or body. He does recommend seeing a physician if your infant (under two months old) has a fever over 100°. Fevers under 106° should be allowed to run their course. A lukewarm bath – Bathing in tepid water helps the body shed some of that heat and may give enough relief for a good night’s sleep for all of you. For kids that love bath time, the distraction of playing in the water will take their mind off of the discomfort they feel. Proper hydration – Make sure your child always has water at hand, and feed them fresh fruit or vegetable juices to replace lost fluids due to fever. Wet socks – Soaking a pair of cotton socks with water and covering them with wool ones helps to draw the temperature down. Try this for nights when they just can’t get to sleep. Vinegar – A sponge bath with vinegar, or soaking the socks (above) in vinegar is another tried and true remedy. Herb tea – Strong peppermint tea is helpful for feverish children, as is elderflower tea. Mothering magazine has a Fever Soothing Tea recipe: 2 teaspoons peppermint, 2 teaspoons elder flowers, 2 teaspoons yarrow flowers, 2 teaspoons boneset flowers and leaves, 4 cups hot water, honey or maple syrup to sweeten. Use 1 teaspoon of the dried blend or 2 teaspoons of fresh blended herbs per cup of boiling water. Steep for five minutes and strain. Sweeten a cup to taste for your child to drink; pour the rest in the bath. To induce sweating, serve this tea as hot as your child can comfortably drink it. We recommend serving it in a plastic mug while your sick child sits in a comfortably warm bathtub in a warm bathroom. Herb Tea Popsicles – Freezing the herb teas listed above into popsicle molds makes for a fun treat and may get them to “drink” the tea (younger children tend to resist herb tea, so popsicles help). Herbal Tinctures – TempAssure, by Herbs for Kids, is a staple in our medicine cabinet. It provides relief so that your child can get some rest. Echinacea tincture (glycerine extract) also helps boost their immune response. Homeopathic remedies – Viburcol, by Heel, comes highly recommended by some mothers. Consult your homeopathic doctor for other remedies. Vitamin C – We like Emergen-C for boosting the immune system and hydrating the body. Plus, it’s fizzy… We call it Fizzy Lifting Drink (Burp, Charlie, burp… It’s the only way!). Egg Whites – Soak two cloths in egg whites, place on the bottom of the feet and cover with socks. Sunshine and Fresh Air – If the weather is nice, making a cozy spot for your child in the sunshine, complete with some good books and a large glass of water will do wonders for them. Don’t expose them to extreme temperatures, though. Herb Spritzers – Combine several drops of essential oil of chamomile, lavender, or thyme with a small amount of water in a spray bottle. Spray on your child’s chest, back, legs, and arms. Keep away from the face and the eyes. Caveat: I’m not a doctor, nor do I play one on television. This article is based on my experience and that of other parents, and does not constitute medical advice. Please seek the advice of your family physician for their recommendations.